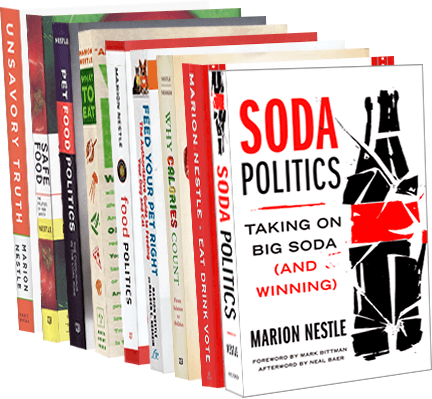 Food Politics by Marion Nestle » Can Foods Be Ranked Nutritionally? Can Foods Be Ranked Nutritionally? I have philosophical as well as practical problems with this kind of approach. First, the practical: Foods contain 40 to 50 components known to be required in the human diet and hundreds more (antioxidants, for example) that are not considered essential but have effects on health. All foods except sugar–which has calories but no nutrients–have lots of different nutrients, but in different proportions. Once you get beyond soft drinks, the situation gets really complicated. Many groups have taken this on: Center for Science in the Public Interest, Hannaford supermarkets, the Australian Heart Foundation, for example. I think they are way too complicated and the cut points set up a slippery slope. If you rank foods high because they contain vitamins, all companies have to do is add vitamins to their products to make them rank higher. Philosophically, I much prefer the “eat less, move more, eat lots of fruits and vegetables, and don’t eat too much junk food” approach. Because there are so many different nutrients to keep track of, and because foods have nutrients in different proportions, eating lots of different kinds of relatively unprocessed foods takes care of nutritional needs. Keeping junk foods (highly processed by definition) to a minimum means that you don’t have to worry about the nutritional details and can enjoy what you eat.